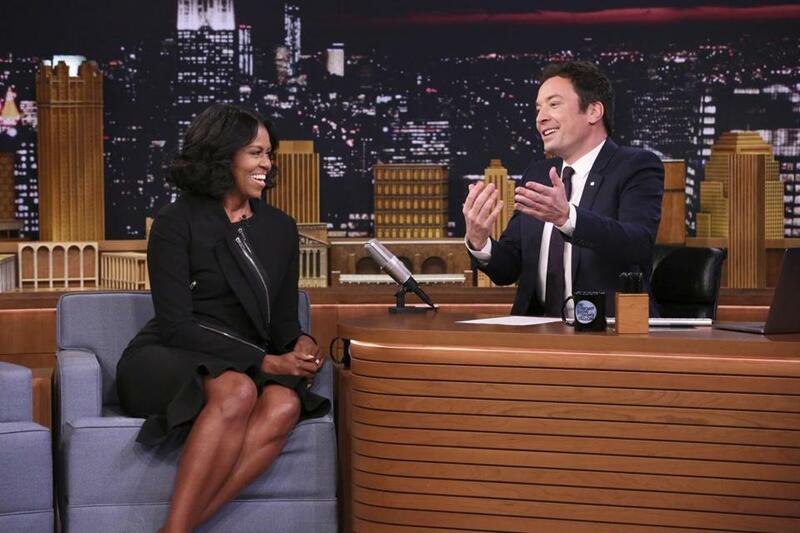 In her final appearance on late-night television as first lady, Michelle Obama said she plans to continue her work with children’s health and education and confirmed the reason Sasha Obama was missing from her father’s farewell speech. In particular, she hopes the incoming Donald Trump administration will continue the school lunch program. Lawmakers are expected to cut rules aimed at promoting healthy school lunches. Obama also said that her and Barack Obama’s 15-year-old daughter, Sasha, did not attend the outgoing president’s farewell speech Tuesday night because she had a final exam the next day. “You know the Obamas, girl, sorry! You better take your test. You can say goodbye later,” Michelle Obama joked.